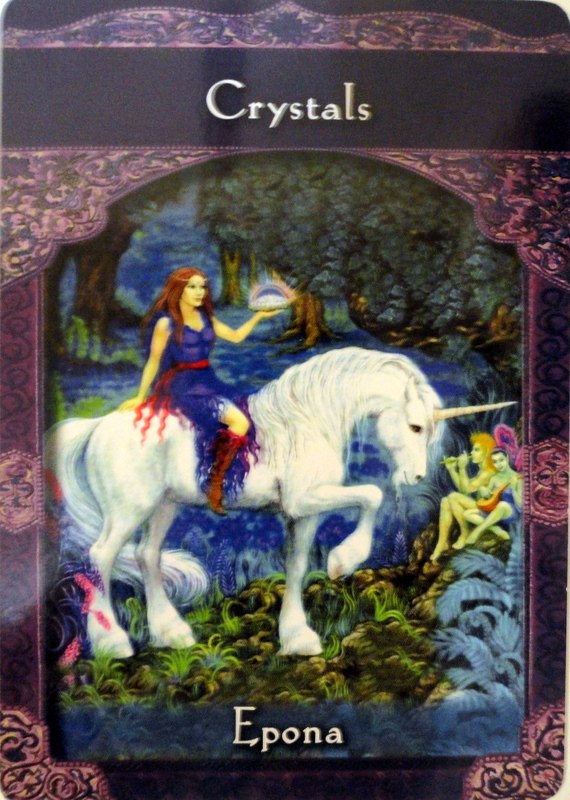 Weekly Angel Card Reading for December 9 through 15. The message of the week is to stay positive and focus on what you that’s uniquely yours to contribute to the world, utilize the powers of crystals for support and write for your life purpose and also for connecting to divine guidance for manifestation sources. By doing so you will experience a deeper connection and more flow of grace in your life. 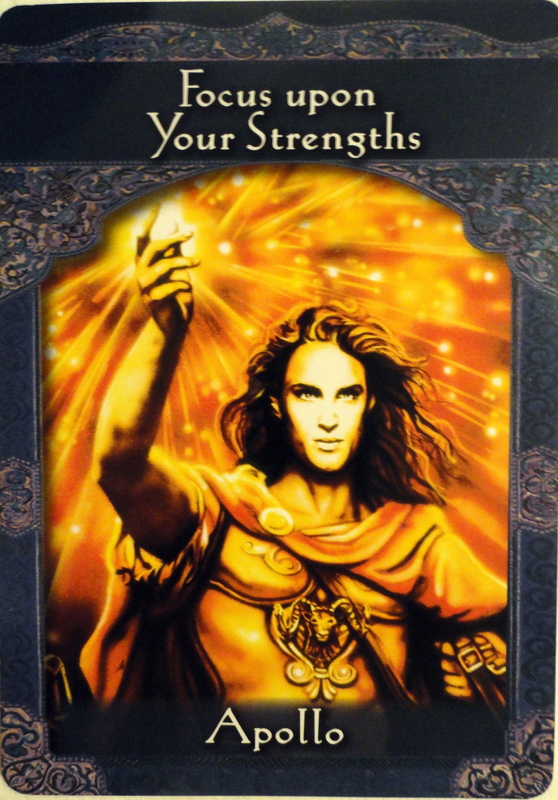 For Monday and Tuesday we have APOLLO with the message ‘FOCUS ON YOUR STRENGTHS’. On the card we see brilliant golden light shining from above and from Apollo’s right hand. It shows that you are not only illuminated from above and but from within also. I sense Archangel Uriel here also. This is the time of year in December where we are observing, celebrating light. We are also shedding light on our thoughts and plans for the new year. Apollo is the Greek sun god who can support us with our emotional and intellectual strength. We are asked to put our attention on what we have that serves the world that is uniquely ours . By doing so these strengths will grow. We are asked to catch ourselves when we are being judgemental or critical of ourselves. Using positive affirmations can assist us. This message may also be about starting or maintain a physical strengthening program. It also may mean you will have a healing involving a brother or brother figure in your life. Shed light on that which you want to grow! We bring light forth when we focus on it! For Wednesday and Thursday we have EPONA with the message ‘CRSYTALS’. Here on the card Epona is riding a unicorn. In her left hand she holds a crystal. It emanates a vibration and even illuminates her path. She is in touch with nature and allows it to connect and guide her on her journey. The journey is harmonious as she is in a beautiful forest with fairies playing music and flowering plants. Epona is the fairy queen who over sees and protects horses. She is also a protector of the environment and nature spirits. Here we are being told of the power of using crystals in our lives. They are high vibrational power conductors as we already know of their use in technology. You can also use them in your personal life too! They can be worn as a necklace, placed under your pillow or under your bed when you sleep at night or in your rooms. Epona knows the value of connecting with the spirit of nature. You can purchase or find crystals at metaphysical bookstores, spas, and gem shows. Hold each crystal to know whether it feels right to you. Crystals can be worn throughout the day for healing, protection, and increased intuition. This message may also be about Crystal children that are in your life or that your life purpose may involve working with crystals. Epona can assist you in selecting a crystal that best suits you and with connecting to the elemental or physical world. 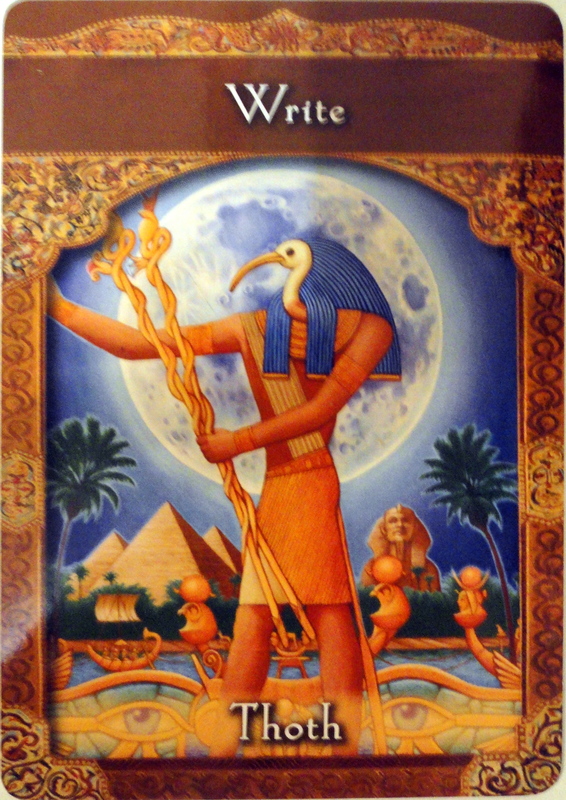 For Friday, Saturday and Sunday we have THOTH with the message, ‘WRITE’. Here we see Thoth in the light of a full moon, writing on a wall with his right hand and holding 2 golden staffs with his left This is to remind us of connection between both the spiritual and physical worlds. When we write we are able to channel the spiritual world. Thoth is the Egyptian god of writing, manifestation, astronomy and esoteric arts. He’s connected to Hermes, the teacher of the Hermetic principles of alchemy and Divine magic who had many incarnations. I recommend the book Divine Magic, ‘The Seven Sacred Secrets of Manifestation’ -A New Interpretation of the Classic Heretic Manual The Kybalion’ by Doreen Virtue to learn about our natural magical abilities and more. It includes a CD where you can listen to the information also. Thoth is considered the originator of written languages. You can call upon Thoth for assistance with any writing project or to gain a deeper understanding of manifestation principles.When you are writing you are not only sharing with the world your message but also tappng into your divine nature as an originator of language forms and communication.If you have been thinking of or getting repeated messages to write, now is the time. Whether it be an article or a book this message is to go ahead and take t actions. Don’t spend time worrying and criticizing yourself, just let it flow and handle the details later. Allow yourself to express freely from your mind, body and spirit. For some of you it may be a message to keep a daily journal or to write down your intentions, goals and desires. You have the ability to channel messages from your guides and angels. For more information about my angel card reading services and to book an indepth reading for yourself see http://www.bcalvanocoaching.com. A reminder, I will be in person at the Awaken Fair in New York City at the Hotel Pennsylvania, January 19th doing angel card readings from 10am to 5pm. Pre- register for your 15 or 30 minute session at http://www.awakenfair.com. “Release your fear, and hold the light. Release your doubt, and hold the light. Release your anxiety, and hold the light. Next Weekly Angel Oracle Card Reading for December 16 through 22.